No other person shaped the course of circus history in America as much as Jerry Mugivan. Jeremiah (Jerry) Joseph Mugivan was born May 17, 1873 in Knightsville, Indiana to Irish Immigrants Jeremiah Mugivan (a railroad worker) and Bridget (Maloney) Mugivan. The Mugivan siblings consisted of James, Mary, Charles, Jerry, Thomas and Catherine. Jerry's younger brother Thomas was struck by a trained and killed at age 5. In 1976 The family moved to near by Terre Haute where Jerry attended St. Patrick's School. Jerry's first job was selling Newspapers on the train from Terre Haute to Indianapolis, he later worked as a candy butcher on the St. Louis, Iron Mountain & Southern Railway. In 1896 while working on the railroad Jerry met and began talking with a passenger. The meeting would not only change Mugivan's life, but also the destiny of the circus in the America. The passenger was John Robinson owner of one of the largest circuses of that time. The young Mugivan went to work on the John Robinson Circus, where he sold tickets, worked in the dinning car and served as one of the shows advance men. After the Robinson circus Jerry worked on the "Sanger & Lentz traveling menagerie", where he met Albert C. "Bert" Bowers who would become a lifelong friend. The two friends went on to work for Sands & Astley Circus, Sells & Gray, and the Great Wallace. In 1904, Mugivan and Bowers put together their total savings of $3000.00 and purchased the railroad circus "Howes Great London Show" which had been owned by Bill and Frank Smith of Kansas City, they renamed the circus the "Great Van Amburgh Shows", (a title which was used years before by Isaac Van Amburg). In 1908 the title was changed the name back to "Howe's Great London show". 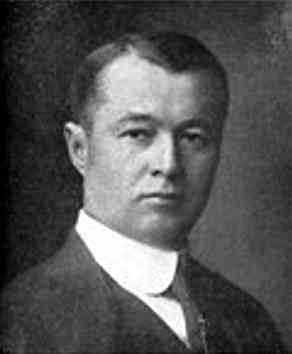 In 1907, Ben Wallace, who was wintering his Great Wallace Shows in Peru, Ind., purchased controlling interest in the Carl Hagenbeck Circus. Wallace had known Mugivan from his years on the Great Wallace Shows, and liked the man. Wallace made a deal with Jerry giving him an interest in the in exchange for Mugivan's service as manager on the new Hagenbeck-Wallace Circus. Mugivan was still in partnership with Bowers who was managing the Great Van Amburgh Shows, in 1908 the shows name was changed to Howe’s Great London Circus. Mugivan and Bowers began to buy other circuses, in 1916 they purchased the John Robinson Circus. The Hagenbeck-Wallace Circus suffered several major set-backs. In 1913 a flood almost destroyed their winter quarters, equipment and show animals were lost. After the flood the circus was sold to businessman Ed Ballard. In 1918 a circus train wreck left near Hammond, Ind., left 84 dead and 127 injured, and again equipment and animals were lost. After the train wreck, the show went into receivership. Mugivan and Bowers were able to purchase the show at auction. In 1918 Ed Ballard join Mugivan and Bowers. In the following years the Sells-Floto Circus, Yankee Robinson Circus and the Buffalo Bill Wild West Show were to their collection of major circuses. In 1921 the trio officially formed the American Circus Corporation, which became the largest circus corporation in the history of the circus. Jerry Mugivan was president and Bowers was vice president the wealthy Ballard provided the finance for the organization. In 1922, the team acquired the Gollmar Brothers Circus title, in 1929 the Sparks Circus and the Al G. Barnes Circus were added to the corporation. The rivalry between the American Circus Corporation and the Ringling Brothers Circus was intense, when Ringling would book a town, the cunning Mugivan would send one of the corporations circuses to the town a few days earlier. In 1929 John Nicholas Ringling purchased the "American Circus Corporation" from Jerry Mugivan and Bert Bowers and Ballard, for 1.9 million dollars in cash. On Jan. 22, 1930, just a short time after the sale of the circuses, Jerry Mugivan died at age 56. It was the end of one of the greatest eras in circus history.